Imagine being told all of your country’s banks and financial markets have been closed for the week, and that you may only withdraw $66 from your bank account per day. Scary, right? Unfortunately for the Greeks, this scenario is their current reality. Greece, which owes $1.8 billion USD to the International Monetary Fund on Tuesday, decided to impose capital controls after Prime Minister Alexis Tsipras interrupted last-minute negotiations Saturday by calling a July 5 referendum on whether to accept international creditors’ tough terms. Greece faces default and/or an exit from the euro if it is unable to make the payment, unless a bailout deal is reached. Global stocks plummeted amid fears Greece will default and the move will be contagious and spread to other countries. European indexes fell sharply, with Germany’s DAX index down 3.6% and France’s CAC 40 down 3.7%. Tokyo’s Nikkei 225 fell 2.9% and China’s Shanghai composite lost 3.3%, officially entering bear market territory (a drop of 20% or more). The Dow Jones Industrial Average fell 350 points, or 2%, to 17,597 – its biggest drop in two years. Gold jumped 0.5% to a one-week high of $1,181.10/oz. Gold “has yet to really react to the Greek situation,” said Julian Phillips, founder of GoldForecaster.com. “If the referendum says no and Greece leaves the E.U., then we will see the full impact,” he said. “Those retirement savings accounts are in for a volatile ride … and it’s all because of [Greece],” ABC financial journalist Rebecca Jarvis said on Good Morning America. Greek citizens are having to endure long, frantic lines of people waiting to use the ATM to access their money, with some ATMs running out of cash completely. People have also been hoarding groceries and gasoline. Standard & Poor’s credit rating agency says there is now a 50% chance of Greece leaving the eurozone. Missing the IMF payment would bring Greece closer to an exit from the euro if it leads the European Central Bank (ECB) to cut off emergency funding for Greece, but the ECB is expected to maintain that funding for at least the coming week. 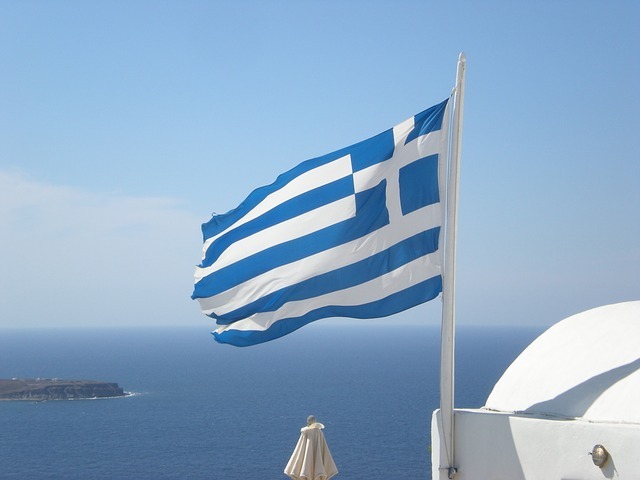 Analysts say Greece could default but remain in the eurozone. Never has it been more evident that owning gold is important in the face of economic and geopolitical uncertainty. Greek citizens without gold can only withdraw $66 from their bank accounts per day, while those who own gold have a readily accessible and liquid store of value – no ATM necessary. Gold is treated as a safe haven from bank closures, market closures, sovereign debt crises, etc. for a reason: it’s a tangible asset with no counter-party risk. Call American Bullion at 1-800-326-9598 and ask about opening a Gold IRA or purchasing physical gold for direct delivery. Give yourself the peace of mind of owning something real.